Has your daughter been hosting elaborate tea parties with her favorite stuffed animals? You can turn her imaginary parties into reality by planning a tea party for her next birthday. I have been seeing my daughters and their cousin, Jaeda, playing with their dolls seated all-together in one table, adorned with their plastic toy dishes, as if having a tea party. So I have thought of several ideas into making it real and a little fancy. 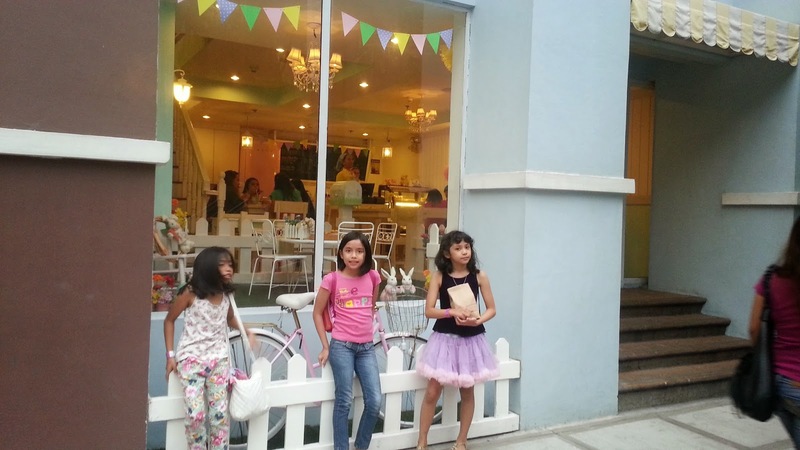 I have compiled several of our girlish foodie destinations where you, your daughter and her friends will be able to have the real-life tea party she's always dreamed of. The list is in random order and we love them all so no rankings for now. 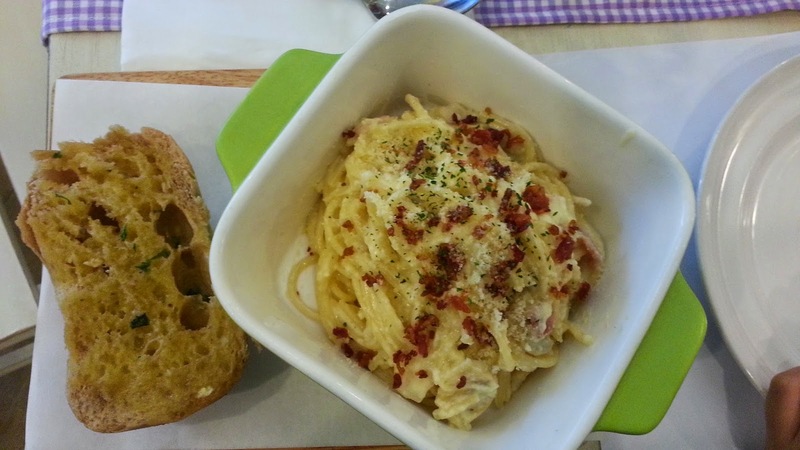 Stacy's first had their branch at Quezon City, Capitol Hills Dr., to be more specific. I have dread of not being able to bring my girls there since I knew about it. Good thing they have managed to come a close. After our Mind Museum exploration with their recent summer activity highlighting environmental awareness, dubbed as The Apocalypse Project, we headed straight here to have snack and oh boy, they were in for another surprise. It was my niece' 9th birthday. We didn't plan to have a party, though it kinda looks like it, right with all the buntings and party adornments, the place is ready for any occasions as such. The staff were so kind enough to do my request. Since there were a few people, I asked them to sing the Birthday Song for Jaeda as she blows her candle on her chosen cake slice. The second floor has more spaces and is perfect for hosting intimate events and parties. The menu is not that impressive but they do have a lot to offer. Here are what we had on that lovely birthday snack. Carbonara for the Dana and Danica. 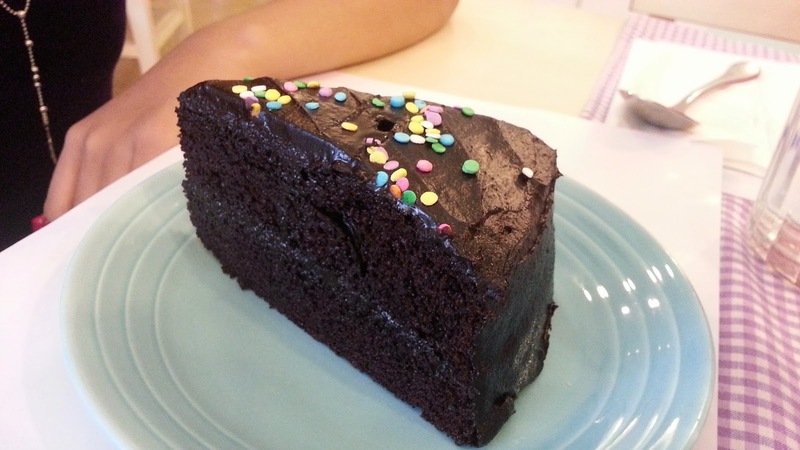 The birthday girl's velvety chocolate cake, moist and sweetened perfectly. My order, New York Cheesecake. Probably one of the best, if not the best NY Cheesecake I've tried. It's baked just like I want it, not the refrigerated ones. My friend Julie and I, sometime ago, went for a quick snack at their Glorietta branch. 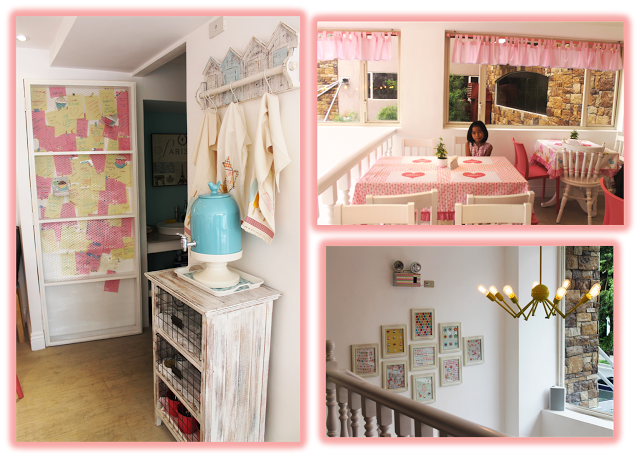 I've always loved the shabby chic interiors, the pink and white striped walls and the dainty white carved tables. Yes, I'm a sucker for all that are girly and dainty. It is where I first saw a cafe used mason jars for their drinks, at their very first branch a long time ago, here in Glorietta as well. Even the cups for the teas and coffee concoctions will just wow you. Down to the cutest details on how they serve your food to the intricacy or simplicity of their cupcakes. If you're in luck, or blessed like we were, you can even have a sample or two of their newest pastry creations. 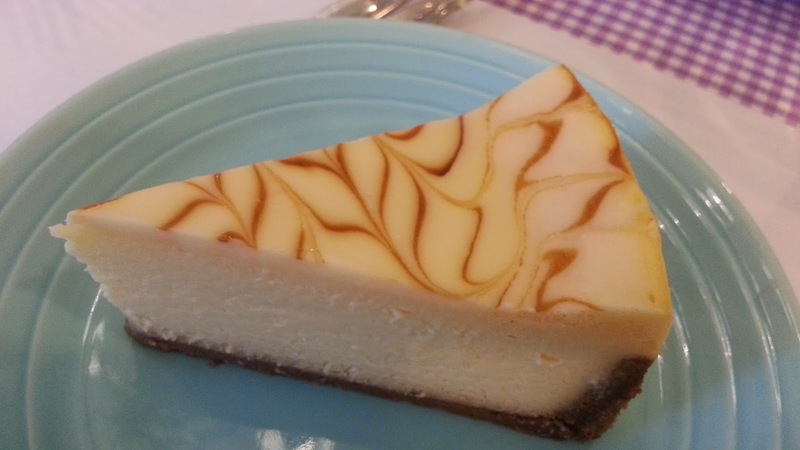 Here are slices of Toffee caramel cheesecakes. My favorite cupcake is the Queso de Bola Ensaymada Cupcake (which happened to be not captured by my camera), probably the one with the least sugary taste in it. If you know of a place like these, how about sharing it to us so we can also visit it. I'm sure the girl in me would love to step into it and savor their sweetness.